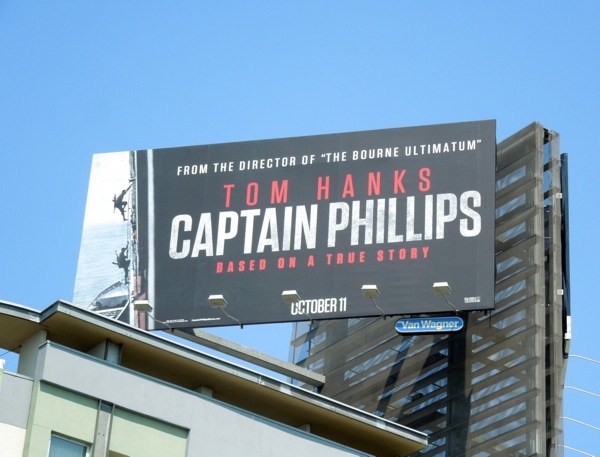 There are worse credentials to lead with than 'From the director of The Bourne Ultimatum', as it certainly sets a certain expectation for Tom Hanks new movie, Captain Phillips. 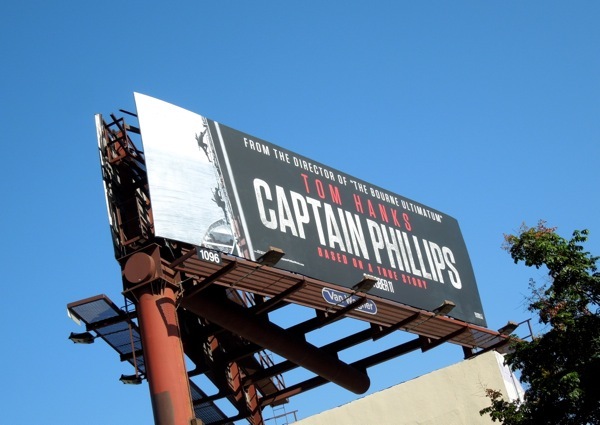 Based on a true story, Paul Greengrass directs the Hollywood star as the titular 'Captain Richard Phillips' whose American cargo ship was hijacked by Somali pirates in 2009, the first U.S. flagged ship to be robbed at sea in two hundred years. These ad creatives with pirates climbing aboard the MV Maersk Alabama container ship from their small boat with automatic weapons slung over their shoulders, combined with the director's filmography credentials, help to sell the concept of the movie and make it a little more exciting than the film's title on its own. 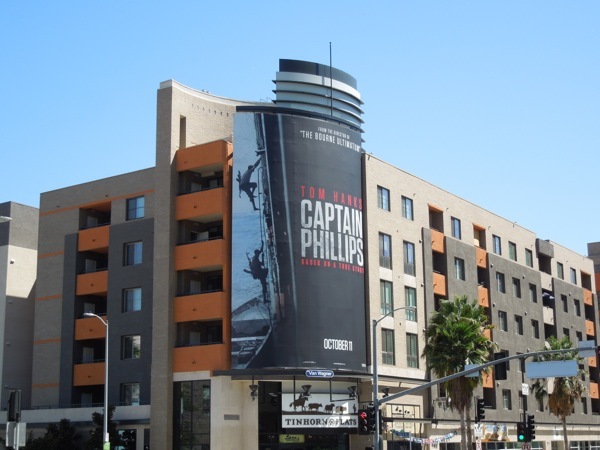 The large portrait billboard for the movie was spied along Hollywood's Highland Avenue on September 4, whilst the landscape ads were snapped along Sunset Boulevard on September 11, 2013. 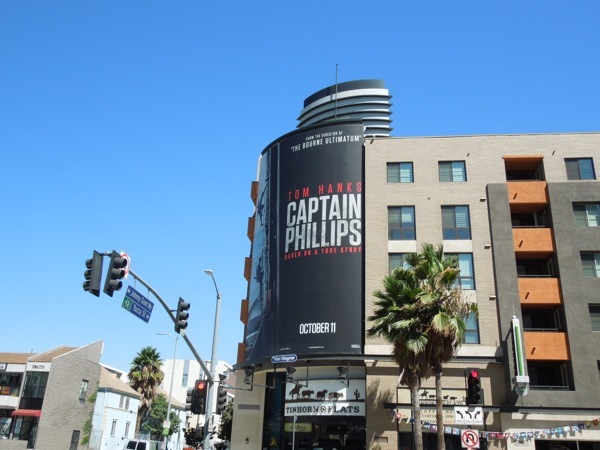 If you're a fan of the actor, be sure to check out these Angels & Demons movie billboards and Larry Crown film billboards. Stay tuned in the following days for another exciting fall season TV WEEK here at Daily Billboard.